To help dairy farmers improve herd performance milk replacer manufacturer Volac has gone back to basics when it comes to feeding heifer calves for long-term productivity. Thus ‘Feed For Growth’ will be launched by Volac at the NI Heifer Rearing Workshop in CAFRE Greenmount Campus on Tuesday, Dec 8. This free event includes an update on calf rearing trials conducted by leading researchers from the USA, Aberdeen and Hillsborough. The proven Feed For Growth programme features a road map, accompanying calculator and comprehensive set of technical guides. Feed For Growth brings into sharp focus youngstock management from day one to ensure heifer replacements calve at 23 to 25 months. The optimum age, according to Royal Veterinary College research, which found that these herd replacements live longer, had fewer problems in later life and produced more milk per day of life compared with heifers calving later. This new Volac programme enables farmers to create their own heifer road map, which sets individual farm objectives, helps track and continually review performance to ensure each animal is on target to reach puberty by nine months, breeding at 13 to 14 months and conceive aged 15 months. An on line calculator sets growth targets and level of feed required, whilst back up technical information provides advice on all three external influencing performance factors – environment, health and nutrition. 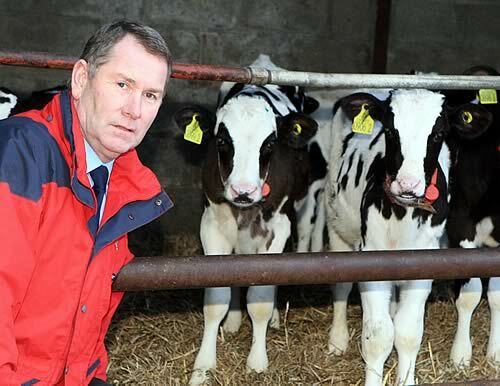 “Typically farmers spend 20% of their total annual farm investment on rearing replacements, whilst 22.5% of heifers born alive fail to make their first lactation and for the remainder, breakeven is not achieved until at least mid-second lactation,” comments Volac commercial director Pat Cahill. “Feed For Growth is designed to turn farmers’ investment and management focus from adult cows to youngstock as the connection between growth during pre-weaning and life time productivity is hugely significant. To book your place, plus complimentary lunch and calf rearing tool kit, contact Alistair Sampson, tel: 07860 626 442.